Our editor Jon Sutton thoroughly enjoys the Annual Conference of the Social Psychology Section of the British Psychological Society. 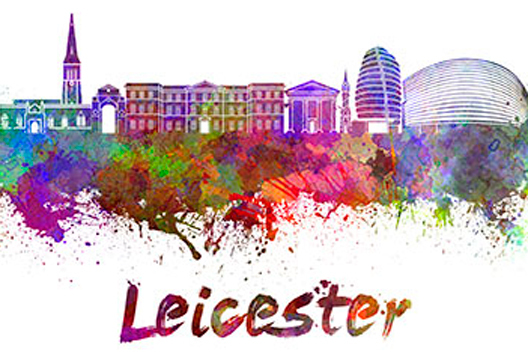 A stellar line up assembled in Leicester for this year’s Social Psychology Section Annual Conference, with an opening keynote from one of the brightest stars of them all – Professor Michelle Ryan (University of Exeter). Along with Alex Haslam, Ryan has researched and popularised the ‘glass cliff’ notion of women being promoted into precarious positions. Here, she gave an idea-packed, timely talk on how context constrains career choices. Ryan shows that the focus of explanations surrounding women in the workplace has changed over time, from external barriers to women’s choices, and that ‘a lot of the rhetoric around women’s choices is somewhat problematic’. For example, the Sheryl Sandberg inspired ‘Lean in’ meme urges women ‘Fortune favours the bold… you’ll never know what you’re capable off until you try’, and ‘what would you do if you weren’t afraid?’ But this places the onus on women, ignores continuing structural barriers, and potentially delegitimises initiatives which try to do something about them. Ryan argues that our ambition and willingness to sacrifice do not occur within a social vacuum, and that it’s actually exposure to relatively male-dominated environments which causes an observed ‘drop in ambition’ in women: not the biological clock. Her research suggests that it is ‘fit’ – how like you the people ahead of you in the organisation are – which has the main impact on career ambition, commitment and perceptions of work-life balance. Ryan also looked at career choices within an accountancy firm. Women were significantly less likely to say they were willing to take sacrifices or take risks, perceiving the benefits as lower. This, Ryan argued, may simply reflect the real world differences in pay and promotion prospects. All in all, it is incumbent upon workplaces to provide something to ‘lean in’ towards. A symposium convened by Clifford Stevenson (Nottingham Trent University) considered barriers to group-based support: when can the ‘social cure’ overcome the ‘social curse’? Blerina Kellezi’s study of social identities and mental health services access in immigration removal centres suggested that belonging to stigmatised identities was creating distrust and disengagement with services. Mhairi Bowe applied a similar approach to food banks in the UK, finding that people reported great difficulty dealing with the stigmatising foodbank user identity and subsequently delayed their visit until absolutely necessary (i.e. sometimes going days without food). Interviews revealed their efforts fo portray themselves as ‘legitimate receivers’ as distinct from those ‘playing the system’, and their eventual journey to a relationship that was ‘more than food’ – a shared sense of ‘we’-ness, social and informational support, increased hope and reduced isolation. Niamh McNamara showed similar ‘identity work’ in the context of the transition from child and adolescent to adult mental health services. To access and have full support of the adult services, young people need ‘scaffolding help’ in order to adopt the ‘responsible adult’ identity imposed by clinicians. Dr Keon West, director of Goldsmiths’ ‘Equalab’, then presented fascinating research on asymmetrical definitions of sexuality. Is it easier to ‘become gay’ than to ‘become straight’? He presented participants with vignettes of ‘gay James’ and ‘straight James’. If ‘Gay James’ kissed a woman participants still saw him as ‘70 per cent gay’; but if ‘straight James’ kissed a man participants saw him as 'less than 50 per cent straight' … ‘in other words, gay'! A follow up study suggested that such findings are not about simple prejudice or gender identity – as with social categories of race, it’s about power and privilege and protecting hierarchies. Closing the first day was a mid-career award for Dr Tim Wildschut (University of Southampton), who presented his research on the interpersonal benefits of the expression of nostalgia. The concept is very cross-culturally robust – people the world over tend to think about it in more or less the same way, as a ‘joy tinged with sadness’. Asking undergraduates to ‘take a picture of yourself making a nostalgic face’ led to lots of selfies with averted gaze, a small smile, often with chin on hand. Experimental research making use of the averted gaze and small smile showed that nostalgia ‘humanises one in the eyes of the audience’: nostalgic people are perceived as more communal, and in possession of important psychological resources. Wildschut concluded that nostalgia could be, in Gordon Allport’s terms, a ‘specific technique for accelerating acquaintance’, for example through ‘neighbourhood festivals’ which promote a vivid sense of communality. Highlights of day two included a round table discussion with Professor Stephen Reicher taking us ‘From Trump to Turkey’ in order to build solidarity with academics at risk. Reicher concluded that ‘we can work to show at least personal level solidarity, allow a coming together to support people in various countries’. Closing the conference was a legend of social psychology, Professor Jonathan Potter (Rutgers, The State University of New Jersey), using contemporary discursive psychology to capture the practice of shaming. As with so much of this conference, Potter opened my eyes to different ways of thinking, passionately arguing that ‘psychology is a topic in and for interaction… in the settings in which it is live, for the people for which it is live’. For Potter, this doesn’t mean experiments, surveys or interviews. It’s about records of actual behaviour, and he believes ‘the textbooks systematically avoid looking at this stuff’. His use of video footage of family mealtimes to investigate threats and admonishments was a timely reminder that in social psychology, it’s often the little things which mean a lot. And these overlooked, everyday aspects – in Barker and Gump’s terms, ecological psychology – are far from trivial, with Potter revealing that he liaises with health authorities over the significance of these interactions for eating behaviour and therefore public health.